Far too often in the world of sports we learn of the horrible crimes and misdeeds of pro athletes. From the NFL’s Aaron Hernandez and the MLB’s Alex Rodriguez and Barry Bonds to Kobe Bryant and Ron Artest Metta World Peace, the variety of scandals involving these alleged role models is troubling. We won’t even get started with Tiger Woods, Lance Armstrong, and many others. We thought it would be appropriate to highlight some of the world’s finest athletes who have avoided controversy throughout their careers. Whether it involves tons of charity work; having a reputation as being among the nicest, most respected players in their sport; or simply showcasing a humble, modest outlook, these are the true role models. For this list, we chose some of the most well-known players who primarily showcase their talents in the U.S. Despite the numerous run-ins with the law surrounding some of our favorite sportsmen, there are still hundreds of good ones out there. This list is far from complete, but here are five pro athletes who have stayed away from scandals. Jeter founded The Players’ Tribune, a rapidly growing media platform where athletes can create and publish their own content and thoughts. In the infancy of his MLB journey, Jeter also created the Turn 2 Foundation, a charitable organization to help kids and teenagers avoid alcohol and drug addiction. The list goes on and on. Forget the fact that J.J. Watt provides bone-crunching hits and breathtaking tackles for a living. Let’s set aside the fact that No. 99 is undoubtedly the best defensive player in football right now. The 26-year-old defensive end is quickly showing that he is just as capable of making a positive difference off the field as he is on it. Over the past couple years it’s become almost a weekly thing to hear about or see Watt interacting with fans in a positive manner. We recently saw this gem regarding Watt congratulating a Texans fan on the recent birth of his baby. The athlete is also the president and founder of the J.J. Watt Foundation, a charity organization that provides after-school opportunities for children to help them participate in athletics in a safe environment. Given his young age, we’re optimistic that Watt will remain healthy and in the league for years to come. Regardless of how long his career may be, we have little doubt that the NFL Man of the Year nominee will keep bringing smiles to fans’ faces. It must be hard to keep up an impeccable image as not only the best baseball player in the entire league, but an all-around good guy as well. Through the early stages of Mike Trout‘s tenure in the MLB, his image remains basically untarnished, and we have high hopes that he’ll continue to be one of the game’s best role models for the next decade or more. 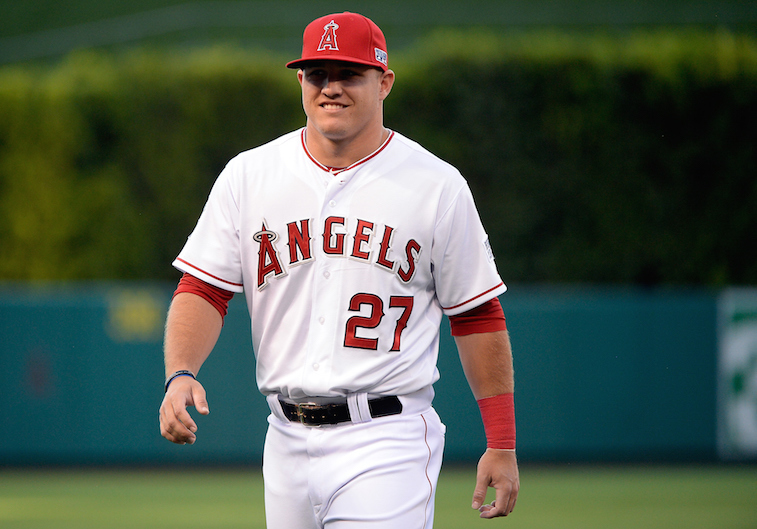 Whether it’s his heavy involvement in keeping up with his roots in Millville, New Jersey or the hours upon hours he spends signing autographs for children and fans, Trout works hard both on and off the diamond. One particularly heartwarming story involves the above-and-beyond effort that No. 27 displayed to make one of his biggest fan’s dream come true. Check out the touching video of this boy’s journey and his encounter with his baseball hero below. 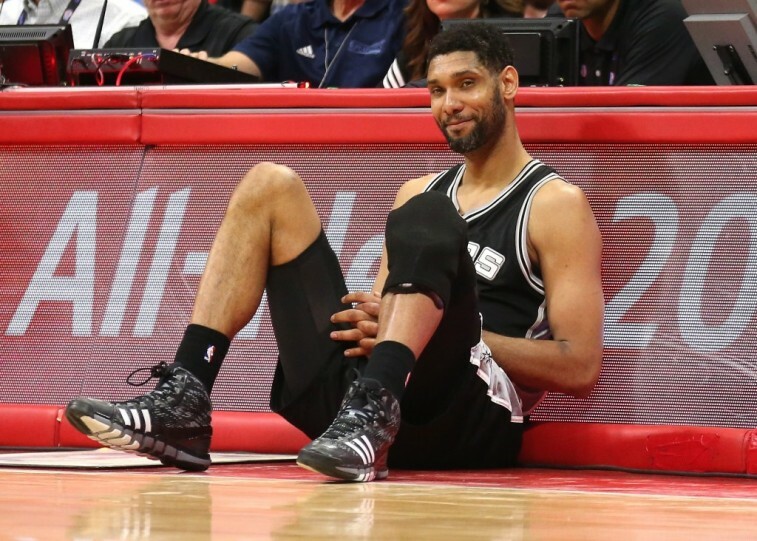 Is there a nicer, more unassuming guy in the NBA than Tim Duncan? If there is, we’d like to meet him. Like the other four athletes on this list, Duncan is a player who has found success through the duration of his entire career. The Big Fundamental is a surefire Hall-of-Famer, but what’s most impressive about Duncan’s legacy is how modest and generous he is. 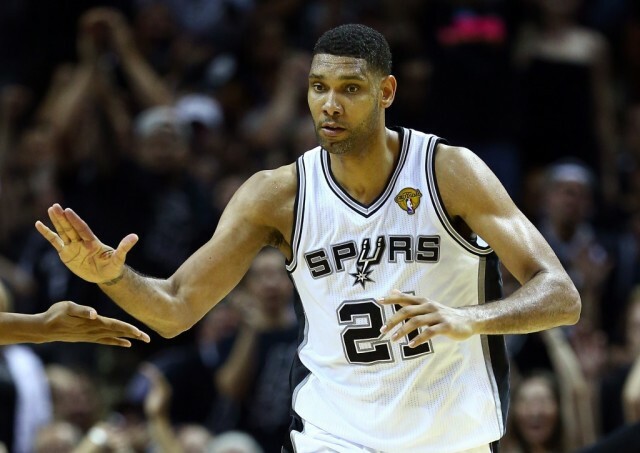 The Tim Duncan Foundation was created to “serve the areas of health awareness/research, education, and youth sports/recreation” in the San Antonio, Texas; Winston-Salem, North Carolina; and U.S. Virgin Islands areas. Before his current career with the San Antonio Spurs, Duncan went to college at Wake Forest University and was born in the Virgin Islands. For his tireless work on and off the hardwood, Duncan earned the Sports Illustrated Sportsman of the Year award in 2003. Unlike Jeter, Watt, Trout, and Duncan, Tony Hawk did not participate in one of the country’s “major sports.” However, the former professional skateboarder is arguably just as famous. For all that the face of skateboarding accomplished during his career, he should be admired for his charitable work and philanthropy too. The skater launched the “Tony Hawk Foundation,” a charity that has given away more than $5.2 million to assist in building over 500 skate parks throughout the U.S. Additionally, the organization supports projects in low-income areas and helps underprivileged children. Also, along with current and former world-class athletes like Muhammad Ali, Mia Hamm, Mario Lemieux, and Cal Ripken Jr., Hawk co-founded the charity, Athletes for Hope, in 2007. The group aims to “inspire all people to volunteer and support their communities through the actions of professional athletes.” Hawk’s career is now a thing of the past, but his impact will continue to be felt for many years to come. Statistics courtesy of Baseball-Reference.com, Basketball-Reference.com, Pro-Football-Reference.com, and TonyHawkFoundation.org.